Apple crammed a lot of goodies into watchOS 5. Here's everything you need to know about it. Which Apple Watches work with watchOS 5? At the Worldwide Developers Conference in June, Apple took the wraps off the latest version of its Apple Watch operating system: watchOS 5. Apple has made big improvements to its wearables platform with each major new release, and it looks like watchOS 5 will be no exception. 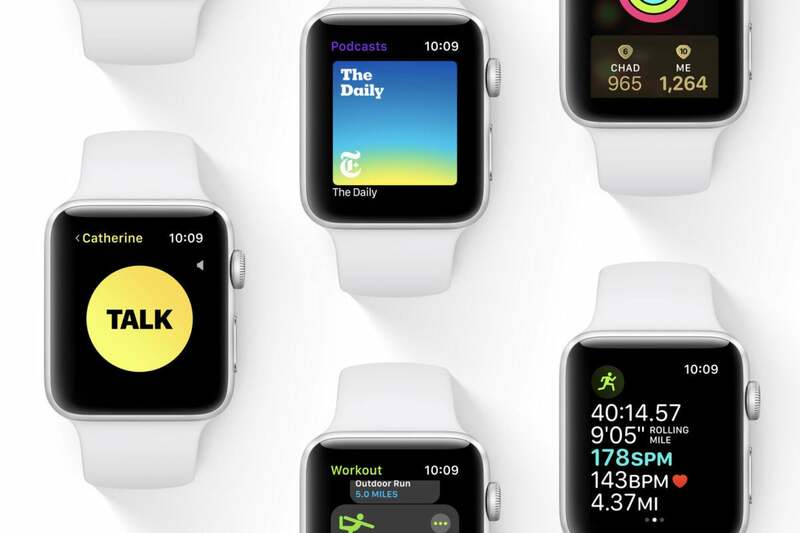 It doesn’t give us everything we hoped for, but with neat new features like Walkie-Talkie, workout improvements, better notifications, and smart Siri changes, it should further Apple’s already substantial lead in the smartwatch category. Here are all the major features of watchOS 5, and instructions on how to get it on your Apple Watch. WatchOS 5 was released on September 17, 2018. You download it through the Watch app on the iPhone that is synced with your Apple Watch. Open the Watch app on your iPhone, tap General, and then Software Update. The new Apple Watch Series 4, which is available starting September 21, will come with watchOS 5 installed already. Some features, like Siri raise-to-speak and adjusting the volume of Siri, are only available on Series 3 and 4. One of the coolest features of watchOS 5 is something we had no idea was coming: the ability to hold simple, push-to-talk conversations directly from one watch to another. Say you’re in a store with a bunch of stuff and ready to check out, and you don’t know where your spouse disappeared to. You could fish out your phone and fire up Messages just to say, “Where are you?” or you could lift your wrist and with a couple taps, talk right into your watch. When you open the Walkie-Talkie app, it shows a list of your most frequently called, messaged, or emailed contacts that also have an Apple Watch. 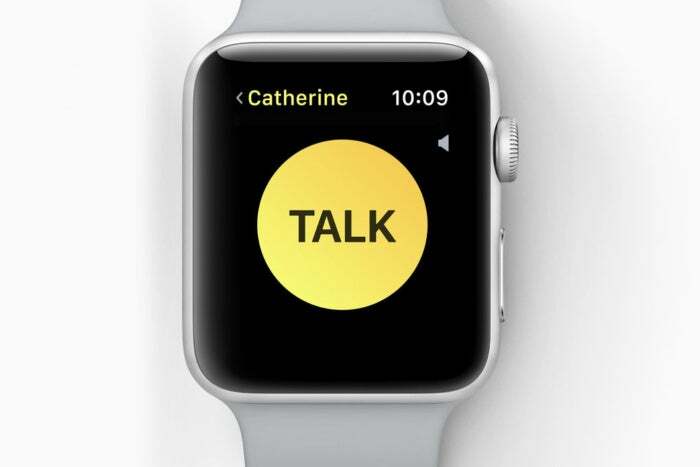 Select someone, and the watch face becomes a huge yellow “TALK” button. Press and hold that to talk, release to listen, just like an old-fashioned walkie-talkie. Walkie-Talkie will make it fast and easy to send quick voice messages to your Apple Watch wearing friends. It’s not a suitable replacement for calls or texting, but it seems like the perfect style of communication for a smartwatch. It’s far more direct and immediate than the Digital Touch feature built into Messages, too. WatchOS 5 includes a handful of improvements to activity tracking and working out. The coolest one is auto workout detection. 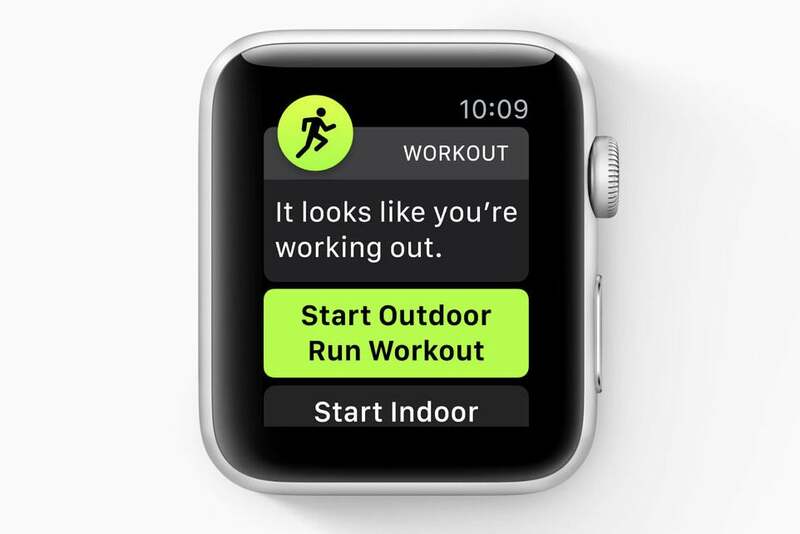 For certain kinds of workouts (running, rowing, walking, swimming, and elliptical), the Apple Watch will detect when you’re working out based on your movement and heart rate, and prompt you to start the correct kind of workout. It’ll even give you credit for the workout time you’ve already completed. When you stop working out, the watch will prompt you to end your workout, again based on motion and heart rate. It’s just the thing for people like me who so frequently forget to end my workout on my watch. Always forgetting to start and stop your workouts? WatchOS 5 can help with that. There are a couple of new workout types, too: Yoga and Hiking. Hiking will track your elevation and give you more calorie-burning credit for going up tough hills. Runners will love the new pace alerts, rolling last-mile stats, and cadence tracking. If you run outdoors, you’ll appreciate the new features for the Outdoor Run workout. 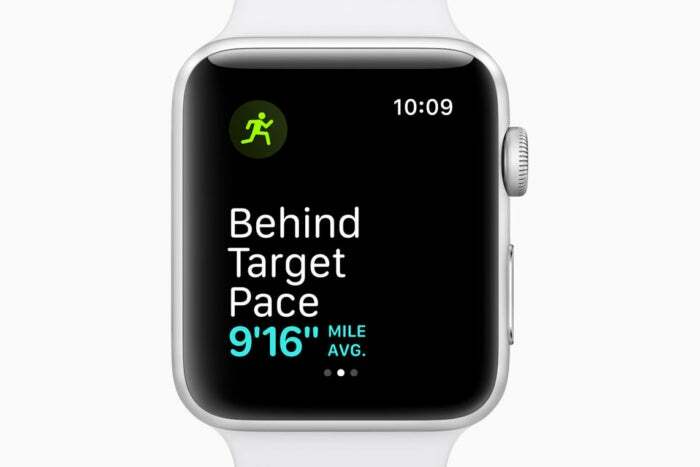 Pace alerts tap you on the wrist if you get off pace, and a rolling mile statistic constantly updates to show your time for the preceding mile. Running workouts also displays your steps per minute, so you can zero in on your optimal cadence. Siri’s getting some big improvements in iOS 12, including Siri Suggestions on the lock screen, Siri Shortcuts, and more. Some of that goodness comes to the Apple Watch in watchOS 5, too. The Siri watch face will now use machine learning to better decide which cards to show you, based on the time of day, your location, and the day of the week. That becomes doubly useful now that third-party apps are going to be able to offer up Siri cards on the watch. 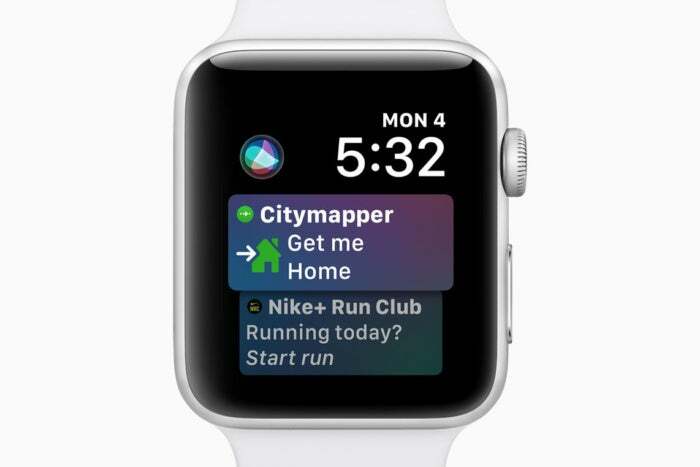 The Siri watch face gets a lot more useful, with smarter cards and third-party app support. Perhaps the most interesting new feature is Raise to Speak. Instead of triggering Siri with “Hey, Siri” on your watch, you’ll be able to simply raise your wrist to your mouth and start talking. Together with custom actions using Siri Shortcuts on your phone, this could be a total game-changer. But it’s going to take some real magic to make sure it listens only when you want to talk to it, and doesn’t accidentally trigger when you’re just moving your arms around. This feature is only available on Series 3 and 4 watches. 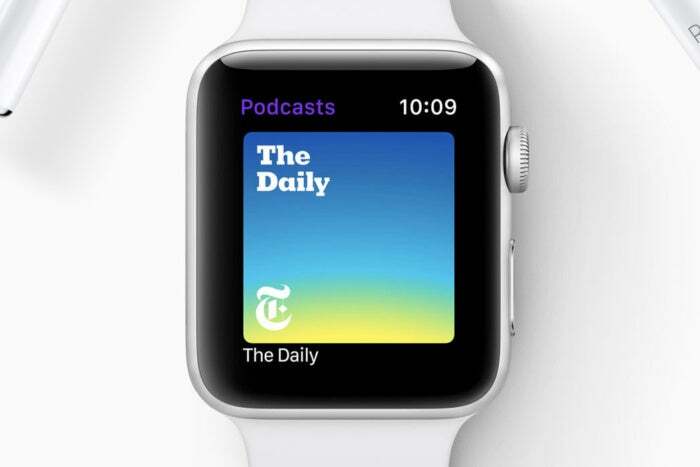 With watchOS 5, Apple is adding its own Podcasts app to your Apple Watch. It’ll sync with the subscriptions you made on your iPhone or iPad, and download the next few episodes. But you’re not shut out if you haven’t already downloaded something. A quick Siri search can find any podcast in Apple’s catalog and stream over Wi-Fi or cellular. WatchOS 5 brings the Podcasts app to your watch, synced with your phone. And third-party apps can play background audio! Third-party apps can now play audio in the background, too. So Spotify, Pandora, Audible, and even meditation apps can play background audio directly from your watch. Apple limits third-party apps from streaming in the background, though: the apps will have to download the tracks/albums/playlists/books to your watch before you leave your phone behind. We’re psyched about grouped notifications on iOS 12, and the feature is coming to your Apple Watch, too. WatchOS 5 brings some other nice enhancements to notifications, including the ability for developers to build more interactivity into their watch notifications, so you can take action without pulling out your phone. Do Not Distrub is no longer just a toggle. Now it’s a menu full of useful settings. You can swipe aside notifications and access the same “Instant Tuning” features you would on your iPhone, which lets you set apps to notify you silently with just a tap. And if you don’t want to be bothered at all, the Do Not Disturb function now brings up a list of settings. 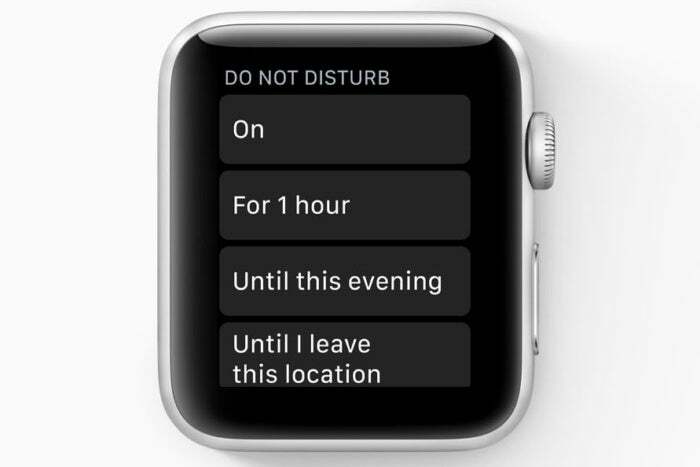 You can enable DND, or just turn it on for a specific amount of time, or until you leave your present location. Of course, wachOS 5 does more than pile on major new features. It’s full of small enhancements and tweaks. You can access Control Center and Notification Center from within apps by touching the bottom or top of the watch screen, waiting a second for the cards to peek out, and then swiping. Control Center can be customized with the options you want in the locations you want. The Photos watchface supports Memories from the Photos app. The weather app has been cleaned up a bit. You can specifically choose which Wi-Fi hotspot you want to connect to. On the Series 3 (the only model were Siri will talk to you), you can now control the volume of Siri’s speech. I’m sure as the final release nears we’ll discover dozens of these little tweaks. For all the goodies included in watchOS 5, there are a couple of standout feature that users have been asking for, but are nowhere to be found. The most prominent of which is support for custom watch faces. Apple continues to supply only a fixed number of watch faces, which can be tuned by changing Complications, but not replaced wholesale. Many users have asked for the ability to download new watch faces from the App Store, but Apple hasn’t made our wishes come true yet. All of Apple’s fitness tracking improvements are welcome, but what’s a good workout without a good night’s sleep? We want to be able to set our watches into a low-power “sleep tracking” mode that can give us good information about the quality of our sleep, but that’s nowhere to be found, either.